And here goes round four! The boxers are out of their corners and circling, looking for a opportunity to open up this round. Wait, wrong round. Sorry about that. 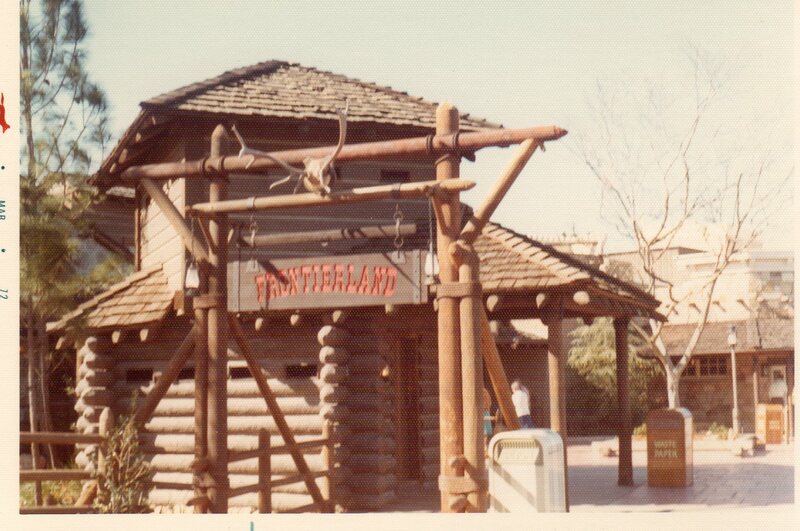 This time we head into Adventure Land and Frontier Land. I know we talked about Fantasy Land this round, but it will have to wait one more post. 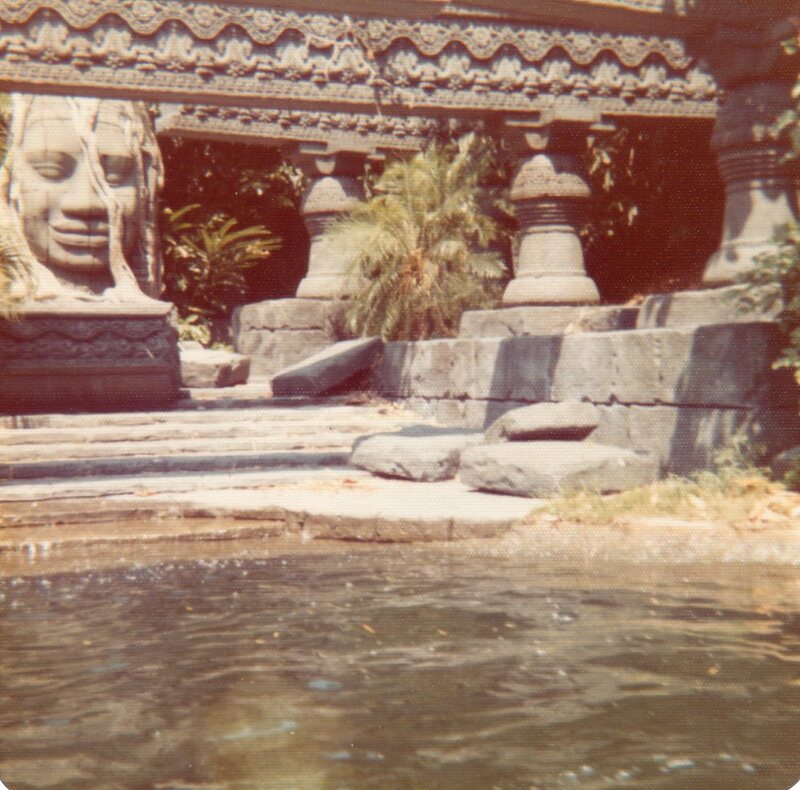 Instead we will visit one of the most famous, and clearly the most campy, attractions in Adventure Land. 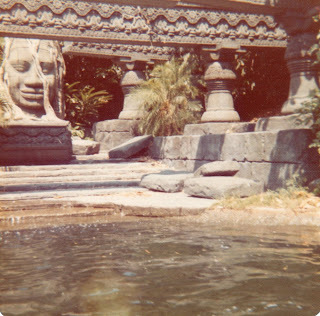 No, we are not talking about Pirates of the Carribean, we are talking about the Jungle Cruise. Yes, that "2 week cruise" down the rivers of the world filled with adventure and bad jokes. The one we all submit ourselves to every trip even the jokes are always bad and the hippos always attack. One big change is the fact that the guides now only fire the weapons to scare off the audio-animatronic beasts instead of firing the pistol at them as they once did. The old encampment is still over run by gorillas, but now they are the stars from Disney's animated feature Tarzan. The elephant are still in their perpetual and unending bath, but they are starting to show the water lines on their hides from all that soaking. I would look like a shriveled up prune by now. So now we are off to Frontier Land. At least the entry to Frontier Land. this gate is still here 40 years later, and it is located just off Liberty Square. It's amazing how little has changed in 40 years other than the trees have grown quite high. The fort in the foreground has not changed much at all. However, there are a few things that really stand out. There has been a change to the building in the rear of the picture, and it seems that the skull on the top of the sign has grown a few more points in the last 40 years. Well that and the trash cans have been replaced with counter space for the Disney Vacation Club brochures. It also appears that the buildings to the right rear are now under going some renovation as the temporary walls are in place so we can't see what they look like at this point. Speaking of renovation, in the next blog post I PROMISE to finally get to Fantasy Land. This location is the subect of a massive construction project that is sure to make us all happy.